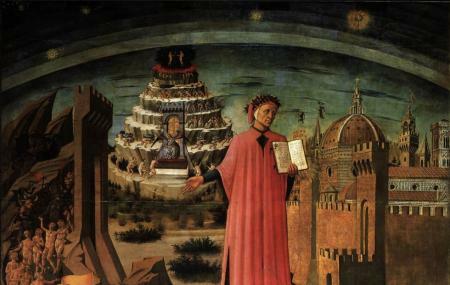 It is strange to name a bar after Dante’s Divine Comedy. Even stranger to model the bar’s look after it, following themes of heaven, hell and purgatory. In the daytime, this bar is suited for family and adults alike. Once it is night though, the party hits the floor and goes on until late night. Love this? Explore the entire list of places to visit in Bellagio before you plan your trip. Fancy a good night's sleep after a tiring day? Check out where to stay in Bellagio and book an accommodation of your choice. How popular is La Divina Commedia? People normally club together Parco Lambro and Royal Villa Of Monza while planning their visit to La Divina Commedia. We ate at La Divina Comedia for dinner. We were a large group, and very much enjoyed our meal and experience. The staff was friendly and we were able to get seats, even with a large party. The food, particularly the tasting menu, was very good, and comparable to other more expensive restaurants in the area. Plus it seemed a place that locals would eat, not just tourists. They also have a very interesting basement that, when we visited, had an art installation there. It was cool to see that extra attraction. The staff let us see it for free. Staff were friendly and the idea of a speciality buffet is a good one BUT, the food was very stale and we even wondered if some of it was packaged food from a supermarket. Yes, you could eat as much as you wanted but we were glad to get out of there really .... a shame but we could not recommend eating there. Yes it's cheap... But it is not worth it. Mostly store bought 'hors d'oeuvres' that if you want warm you can use their stack of microwaves (all the food is cold and requires the use of the microwaves)! I recommend that while in a place like Bellagio treat yourself to a proper Italian meal that an Italian granny would be proud of, this was a very poor effort and a definite trap to avoid.